The Roads and Transport Authority (RTA) is responsible for the planning and provisioning of an integrated transport system capable of achieving Dubai's vision of safe and smooth transport for all. As one of RTA’s strategic and primary business units, its Rail Agency was created to provide all modes of railway transportation and to help ease congestion within Dubai. Faced with a lack of a single source of truth for information relating to the operation and maintenance of the world’s longest driverless metro, it initiated a business transformation program to improve its performance in initiating, planning, designing, managing, maintaining, and operating of all its rail networks. Through the implementation of best practices for configuration management (CM), collaborative information management (CIM), and building information modeling (BIM), all provisioned on a common data environment (CDE) enabled by Bentley technology, the RTA anticipates a reduction of 12 percent in time and effort of managing its capital projects and 10 to 15 percent of maintenance costs within three years of implementation. As the first major entity within the government of Dubai to recognize and undertake such a BIM transformation, the RTA has established a robust vision and strategy that provided the foundation for a four-year road map to meet and exceed the UK government’s Level 2 BIM maturity. To facilitate the implementation of CM, CIM, and BIM processes and standards within the implementation plan, the RTA selected its “Route 2020” Project as a pilot project, and engaged Bentley as a strategic partner and provider of its CDE, a core requirement for BIM Level 2. The “Route 2020” Project is a 15-kilometer extension of Dubai Metro’s Red Line from Nakheel Harbour & Tower Metro Station to the Expo 2020 site in Dubai South (previously known as Dubai World Central), a self-contained city that currently includes Dubai’s Al Makhtoum International Airport. The 15-kilometer project includes 11 kilometers of elevated and 4 kilometers of underground sections, seven stations (five elevated and two underground), through communities inhabited by around 240,000 people. Creation of a single source of truth for all project data. Data structured in accordance with RTA’s standards and practices, including BS 1192. Ensured quality, consistency, and mobility of models and data produced by the RTA’s supply chain, in line with its BIM standards and manuals. Accelerated feedback to RTA’s supply chain to streamline project workflows and better coordinate on deliverables. Provision and access to structured, accurate, and trusted information throughout the CAPEX and OPEX phases, ensuring information value is retained. Dubai’s award in 2013 of the World Exposition 2020 (Expo 2020)—which will be the region’s first global showcase—served as the catalyst for the Route 2020 project, a new route leading to an exciting journey into Dubai’s future. 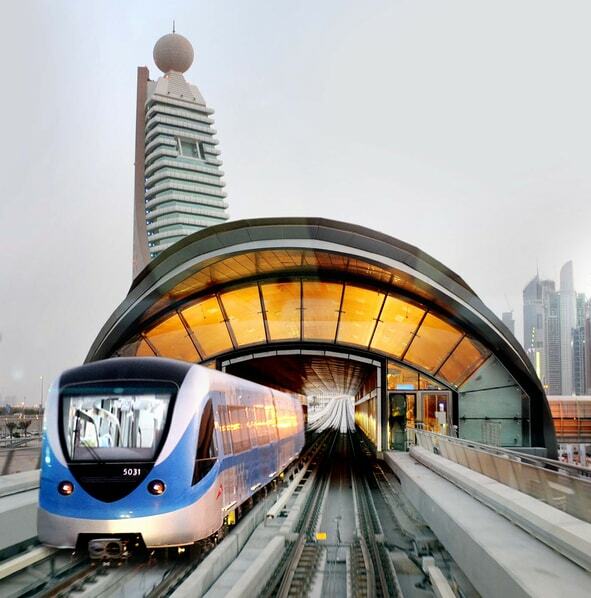 This five-stage project will extend the existing Dubai Metro Red Line to the Expo 2020 site, a 438-hectare area dedicated to Expo 2020 events, which will connect participants, innovators, and policymakers from around the world. When delivered, the Route 2020 project will be the first major rail expansion of the highly successful Dubai Metro Red Line and Green Line projects. The new line will provide a single-seat journey for passengers arriving at Dubai International Airport to the Expo 2020 site. Initial projected ridership figures are 125,000 passengers per day, rising to 275,000 by model year 2030, by which time it is anticipated that Route 2020 will extend to the new Al Maktoum International Airport and provide direct connectivity between both international aviation hubs of Dubai. Our core business involves managing large, complex, multisite projects, so our skills align perfectly with Route 2020’s needs. A project of this nature—particularly the physical connection to the existing Red Line (tie-in)—requires exceptionally detailed planning to orchestrate the complex activities necessary for installing new turnback arrangements and for demolishing and reconstructing the existing viaduct to achieve tie-in, all while ensuring uninterrupted passenger services with rail replacement buses. The tie-in is in a crowded utility corridor immediately adjacent to the principal Inter-Emirate Expressway between Dubai and Abu Dhabi, increasing the challenges faced during construction. In addition, significant utilities diversions and installing and managing temporary traffic routes in densely populated residential areas is a formidable task. Piling work for the viaduct is now nearly 60% complete, with around 500 piles achieved at the Expo and Al Furjan sites, and three launching girders are working round the clock to assemble the viaduct spans. Tunneling on the 3.2-km tunnel between Discovery Gardens and Green Community was formally launched by His Highness Shaikh Mohammad Bin Rashid Al Maktoum, Vice-President and Prime Minister of the United Arab Emirates and Ruler of Dubai, on October 24, 2017, and was attended by Shaikh Hamdan Bin Mohammad Bin Rashid Al Maktoum, Dubai Crown Prince. The work is expected to be completed by December 2018. The Route 2020 project is to be completed by April 2020, several months in advance of the Expo 2020 event. We have also been awarded a separate multiyear contract for the Expo 2020 sitewide infrastructure design and construction supervision services. We are proud to partner with the RTA to contribute to and fulfill Dubai’s mission to be a place of innovation, opportunity, and connectivity.